When I was in the service, I was never called upon to participate in combat duty, and so never incurred a physical or psychological injury. I realize how very lucky I am in this regard, and it makes me respect my wounded brothers and sisters in arms all the more. 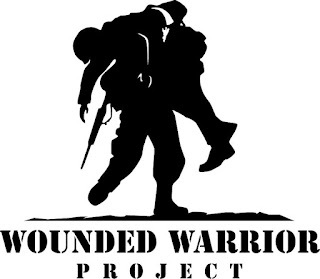 Which is why I'm very, very proud to be participating in my first 5K race this Saturday to benefit the Wounded Warrior Project. Their vision is "To foster the most successful, well-adjusted generation of wounded service members in our nation's history." A worthy goal at any time. If you're able and inclined, please consider making a donation to this program at my fundraising page. Non sibi sed patriae.